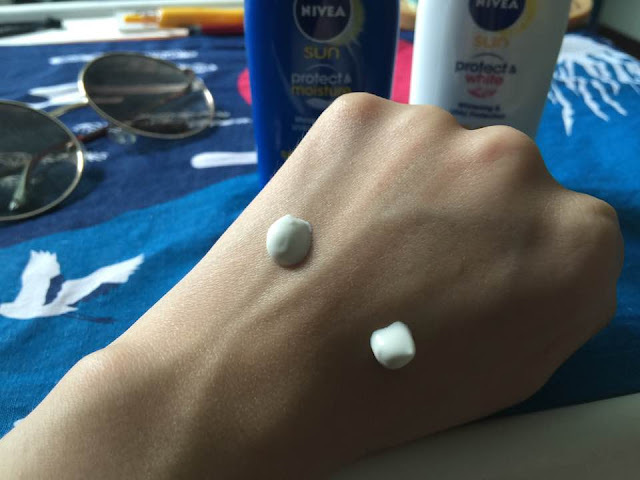 Home / nivea moisturising lotion / nivea protect & whiten lotion / nivea sun protect & moisture lotion / nivea sunblock / nivea whitening lotion / sunblock / sunblock lotion singapore / sunscreen / Uh-oh. What can the sun's searing rays do to your skin? Uh-oh. What can the sun's searing rays do to your skin? While we all know that Vitamin Ds are important for our body, the rays that come from the sun are more often harmful than beneficial. Did you know that our skin still absorbs harmful UV rays even when we're in a building? These rays can penetrate anything, which destroy healthy cells and alter their DNA structure. Sun protection is important as insufficient defence can cause skin to be damaged by free radicals. Even if you apply sufficient UV protection, a day out under the sun will inevitably dehydrate skin and leave it feeling tight and dry, as UV irradiation leads to a decreased level of moisture in the skin. Read till the end to find out how you can get NIVEA lotion at a great discount! In my opinion, the NIVEA moisturising is thicker in consistency whereas the whitening is more watery. The latter is easier to spread around your face, whereas the former would be great for body application. Panthenol, a provitamin of Vitamin B5, improves and increases the hydration properties of skin, therefore stimulating skin regeneration, protecting the skin barrier against harmful influences, and strengthening the natural protective function of the skin. Glycerin supplies skin with instant and long-lasting hydration. Advanced Collagen Protect offers a deeper level of defence by protecting skin on the collagen level. 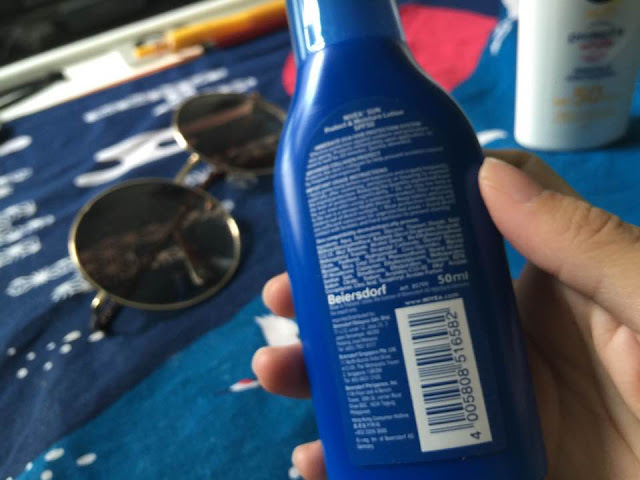 This lotion also offers immediate and highly effective broad-spectrum sun protection with a mixture of chemical filters that absorbs UV rays and protects skin from sunburn, as well as the physical UV filter, Titanium Dioxide, that forms an additional protective shield on skin and reflects UV rays. 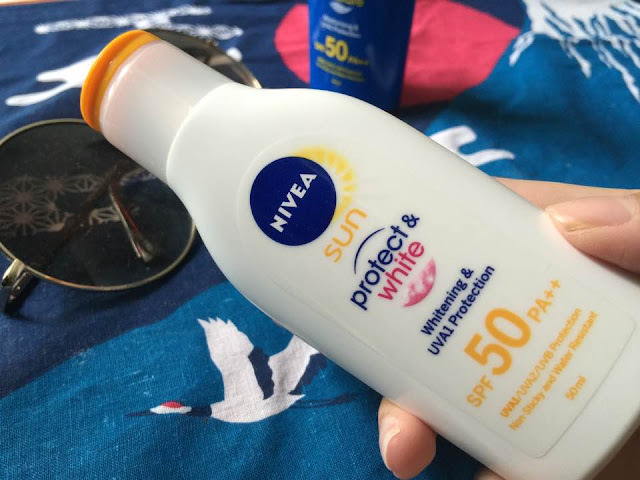 The new and improved NIVEA Protect & Moisture Sun Lotion SPF 50 PA++ offers both immediate sun protection and moisturisation benefits in one product. 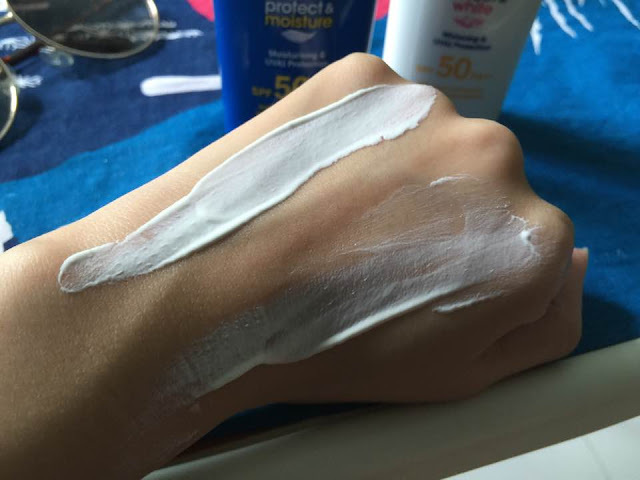 Get 24-hour hydration with this sunscreen, which has a moisturising level that is comparable to a body lotion so you can mitigate moisture loss while out in the sun. 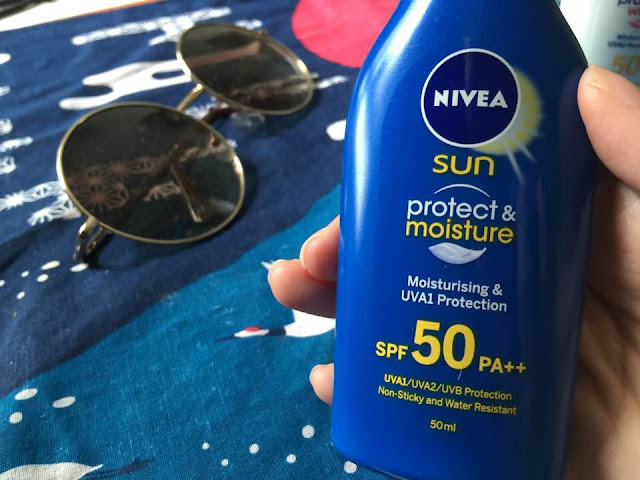 For those looking for additional protection, the new NIVEA Protect & White Lotion SPF 50 PA++ not only offers highly effective sun protection, it ups the ante in the battle against skin pigmentation with ingredients that help lighten existing dark spots while preventing new ones from forming. 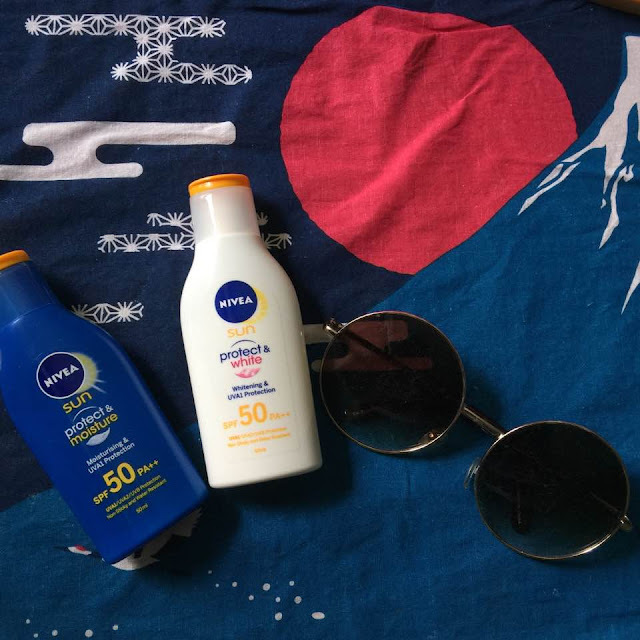 With NIVEA, you can now enjoy worry-free times in the sun while ensuring your skin gets the best of suncare and skincare in one. 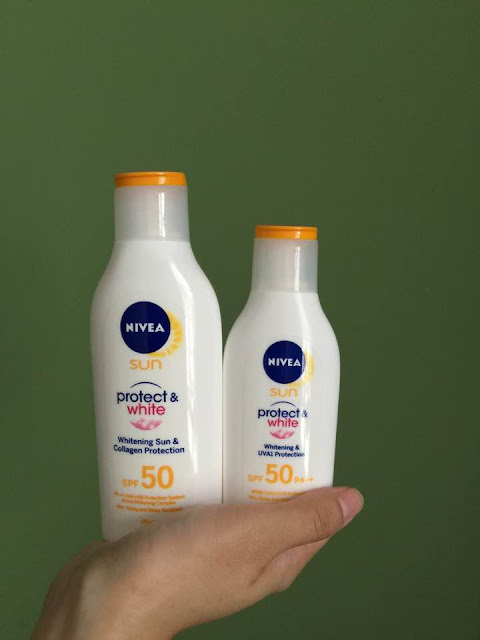 Both sunscreens also come in nifty 50ml travel-size packs so you can take them anywhere and everywhere! 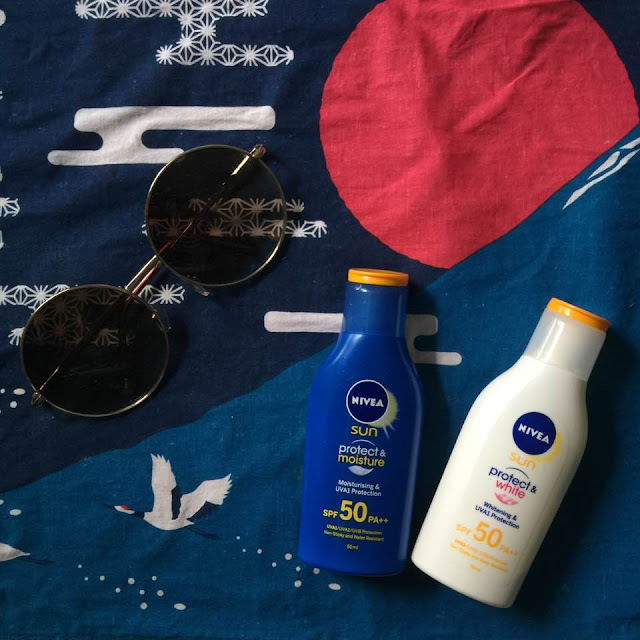 NIVEA Protect & Moitsure Lotion SPF 50 PA++ and NIVEA Protect & White Lotion SPF 50 PA++ retail at RedMart, Guardian, Watsons and most major retail stores. 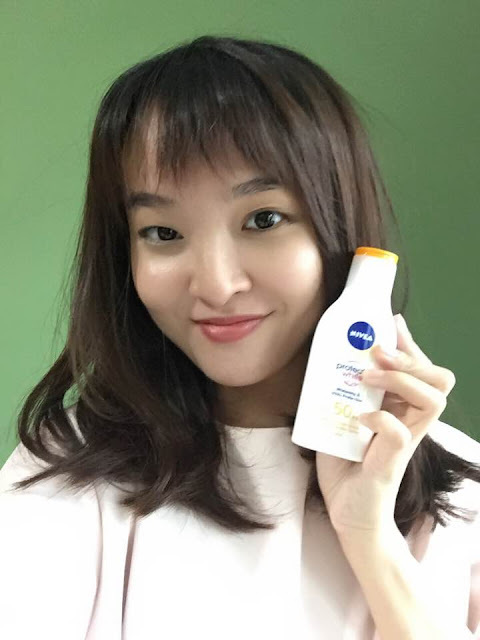 [OFFER] Get NIVEA Protect & Moisture Sun Lotion at $20.95 (U.P $22.60) at RedMart! Also, enjoy $10 OFF + Free delivery with minimum purchase of $30 here.